Wacker Neuson offers two models of attachment compactors, which are controlled from the excavator and provide high compaction performance and depth. Kenco compaction wheels feature a unique design that mixes the soil as it compacts. Available for all trench sizes from 4 to 60 in. These excavator or backhoe compaction wheels provide a fast, efficient method for compacting backfilled trenches. The DCS6000 compaction plate extends down to 36 in. below the surface into trenches. The Diamond Compaction Wheels are suited for use on backhoes, excavators, skid steers and compact excavators. EDGE vibratory rollers can compact everything from clumpy, clay-type material to dirt, sand, gravel or backfill. The 1, 600-lb. HC 920 hydraulic compactor attachment features FAG bearings, a Permco motor and Lord shock mounts for greater performance and durability. The Ho-Pac Model 500 features 30% more impact energy, a four-function valve and oil splash bearing lubrication. The KHP 35, KHP 65, KHP 135 and KHP 210 incorporate rubber shocks to absorb vibration and protect the carrier boom, as well as a cross-over check valve to protect the motor. The OAC100 boom-mounted hydraulic plate compactor is designed for mini-excavator applications. The PAC Series of plate compactor attachments from Doosan Infracore are designed for carriers from 3, 000 to 60, 000 lbs. Maximum back pressure of 100 lbs. per square in. This 18-ton pull-type vibrating compactor is available in padfoot or smooth drum models. 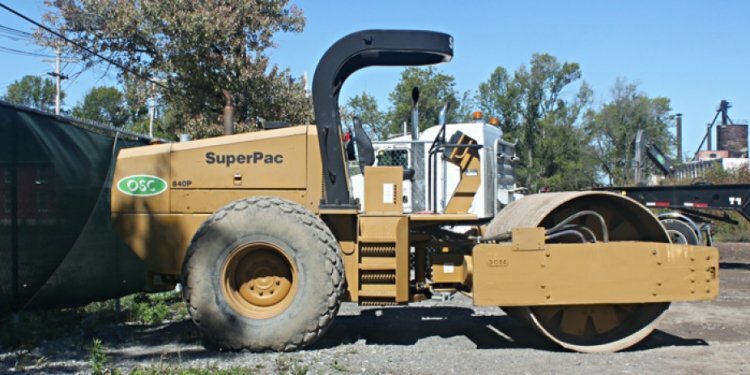 These compaction wheels turn your skid steer into a self-propelled compactor. Rim diameters of 26 to 52 in. Widths of 4 to 72 in. The 650-lb. SBV 60 H and 2, 400-lb. SBV 120 HF incorporate hexagonal bottom plates that can easily reach every ground spot without a rotating motor.